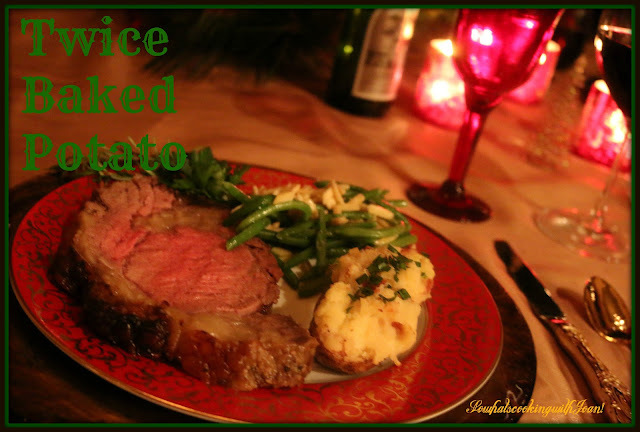 A Standing Rib Roast claims center stage during holiday season for a very good reason. It is the king of beef cuts. This is my favorite way of cooking a Prime Rib. 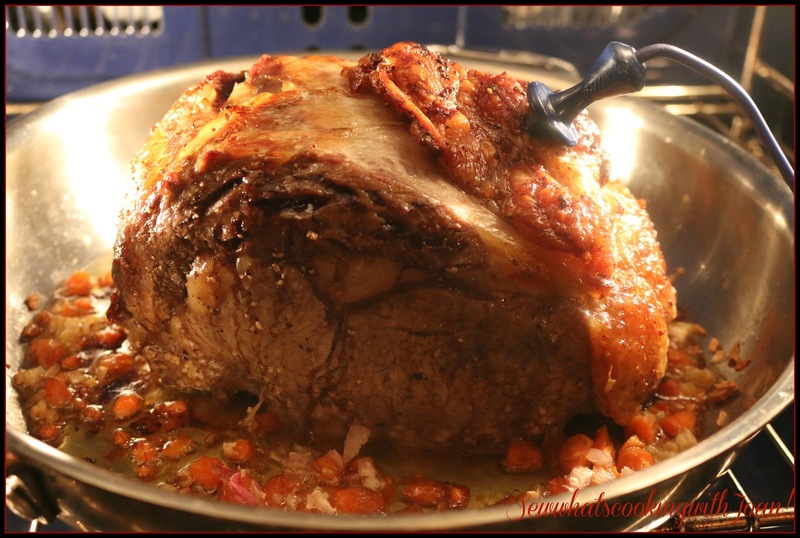 Both my Slow Roasted Prime Rib and my adaption of Eva Kenly's recipe (here) are excellent methods for cooking a Rib Roast. I have done it both ways, both ways, equally delicious. It’s called a standing rib roast because to cook it, you position the roast majestically on its rib bones in the roasting pan. 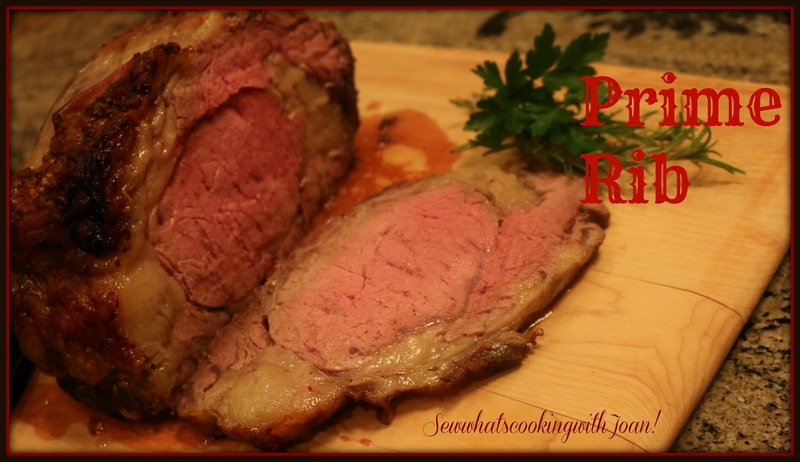 You do not need to have a bone in Rib Roast, boneless is fine. Beautifully marbled with fat, this roast is rich, juicy, and tender—a feast for the eyes and the belly. There’s usually something for everyone with this roast. The ends are well done for those who can’t tolerate pink. The center should be a vibrant rare for those of us who must have our beef rare. A full rack of prime beef is 7 ribs, which will easily serve 14 to 16 people. If a full rack doesn't fit not fit in your oven, cut the roast in half (3 ribs on one roast and 4 ribs on the other) and cook them in separate ovens. Cooking time will be about 2 hours. Roast has to rest for about 20 minutes before carving. 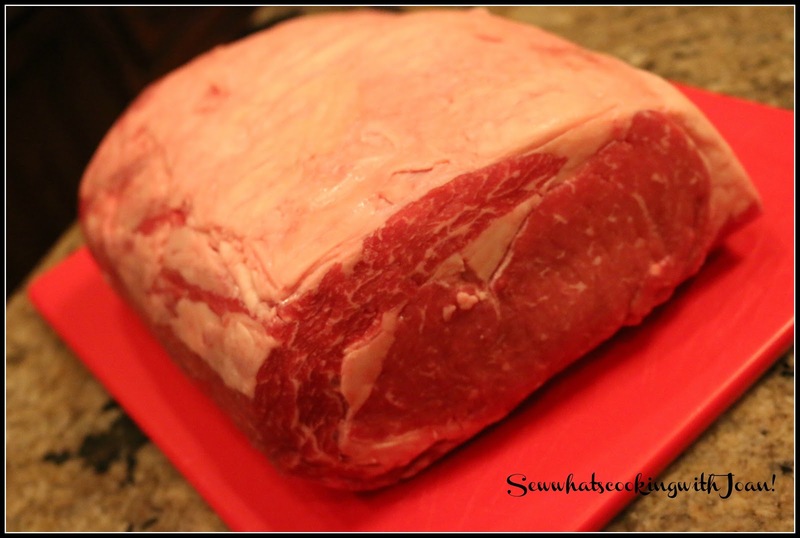 I bought my boneless rib roast at Costco, it was excellent! Rub the roast with a mixture of minced garlic, salt and pepper. Cover with plastic wrap or if it fits place in a large plastic bag. I do this 24 hours in advance, however, you can do a few hours in advance. Allow to come to room temp before cooking. Pre heat oven to 325 F degrees. Place the oven rack in the lower third of the oven and roast for 30 minutes. Baste with the fat accumulated in the pan, add shallots, garlic cloves and carrots to the pan. Continue to baste once in a while. Roast until meat thermometer registers 120 F degrees for rare, 125F degrees for medium rare, 135F for medium. Meat should rest for 20 minutes and during that time the temperature will go up by 10 degrees. While meat is resting, remove fat from roasting pan. Add the beef stock to the pan and bring to a boil. Scrape up any brown bits from the bottom of the pan and mshed the vegetables. Cook for 2 minutes over medium heat burner. Pour threw a sieve into a small saucepan and simmer for 2 minutes. Adjust seasoning. Pour into a heated sauceboat. Slice beef to desired thickness, pour a little aujus over.....enjoy! Mix the horseradish, mustard and shipped cream. Season with salt and pepper to taste. 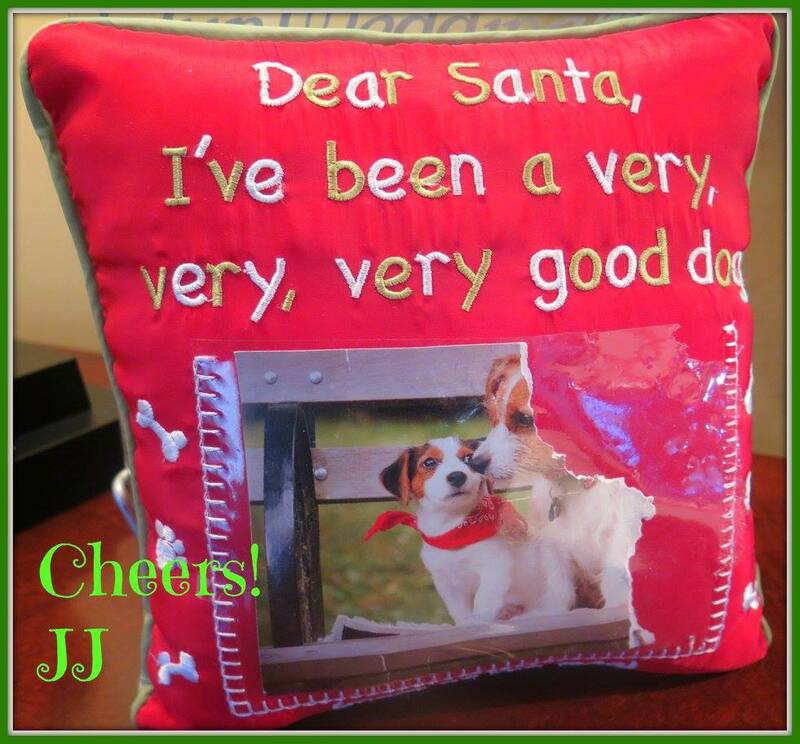 Wee Bear and I are enjoying this festive time. Last weekend we traveled north from Scottsdale to Flagstaff for the North Pole Experience. This Christmas themed event was rated as the best event in the world by CNN. We were in the magic of the holiday season at Santa’s enchanting, 400-year-old workshop. 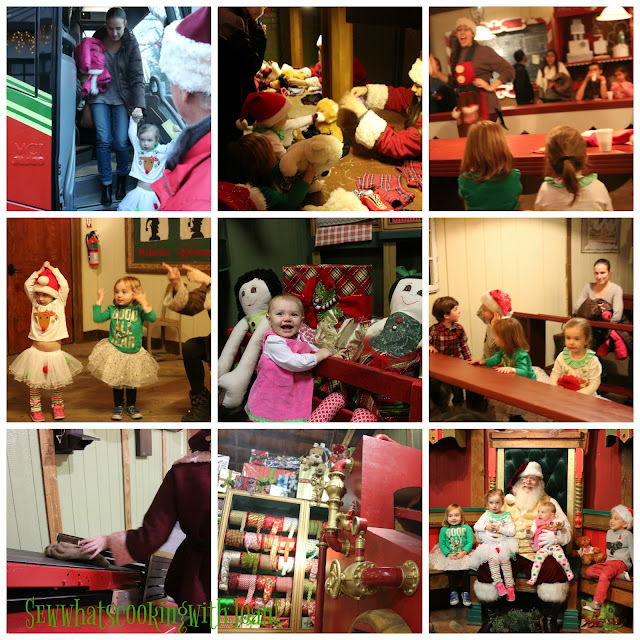 It is a unforgettable North Pole experience inside the toy factory, Mrs. Claus’ Bakery, Elf University, Santa’s Sleigh Hanger, photos with St. Nick himself and much more. My grandchildren and their friends had the most amazing time from getting their Golden Tickets, to riding the trolley to the North Pole, then making toys for the children and signing with the elves while enjoying Snowman Hot cocoa and cookies. Then the final adventure seeing Santa was the highlight!!! Such a fun exciting time our family and friends had from beginning to end, Well done NPX!! !